The Ste. Genevieve County Prosecuting Attorney is an elected office. Every four years the voters of the Ste. Genevieve County elect their prosecutor. The next general election is in November of 2018. Any candidate must be a resident of the county and be licensed to practice law in the State of Missouri. The elections are partisan, so a candidate can run as the nominee of a political party or can run as an independent candidate. The next primary election for nominees of political parties is August of 2018. Since 2010, Ste. Genevieve County has had a full-time elected prosecuting attorney. The elected prosecutor is prohibited from handling private cases. By statute, a full-time elected prosecuting attorney’s salary is the same as that of an associate circuit judge. Each county in Missouri elects its own prosecuting attorney. The primary purpose of the prosecuting attorney is to represent the interests of the State of Missouri in criminal cases arising out of his or her home county. The Ste. Genevieve County Prosecuting Attorney cannot make any decision regarding criminal cases in other counties. Below are the telephone numbers for the prosecuting attorneys adjoining Ste. Genevieve County or in the 24th Judicial Circuit, of which Ste. Genevieve is a part. Missouri has a long tradition of local control of prosecuting attorneys. The Ste. 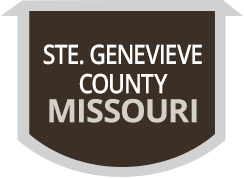 Genevieve County Prosecuting Attorney, like all other county prosecuting attorneys in Missouri, is not under the control of the Missouri Attorney General. With few exceptions, the Missouri Attorney General does not have the authority to bring criminal charges for crimes arising in Ste. Genevieve County. Nevertheless, the Missouri Attorney General and local prosecutors frequently work closely together. Among the areas where the Missouri Attorney General may bring criminal charges are worker’s compensation fraud and unlawful merchandising practices. The number for the Missouri Attorney General is 573 751 3321. The Ste. Genevieve County Prosecuting Attorney has no authority with regard to federal cases. If you have a question regarding federal criminal cases, you may wish to contact the U.S. Attorney’s Office at 314 539 2200 (St. Louis) or 573 334 3736 (Cape Girardeau). Criminal cases typically begin with a law enforcement officer (LEO) submitting to this office a probable cause statement. A probable cause statement is a statement by the LEO setting forth why the LEO thinks he or she has probable cause to think a specific person committed a crime. The prosecuting attorney will review the probable cause statement. If the prosecutor thinks criminal charges are appropriate he or she will file a complaint with court. The complaint will set forth the specific crime with which the defendant is charged. If the judge agrees with the prosecuting attorney that based on the probable cause statement there is probable cause to believe the defendant committed the crime, the judge will issue either a summons or arrest warrant. A summons is an order from the court for the defendant to appear in court on a specific date. If the defendant does not appear, then the court may well issue an arrest warrant. An arrest warrant directs LEOs to arrest the defendant and keep him in jail until he can be brought to court. If the judge issues an arrest warrant, the judge may also set a bond. If a defendant cannot post bond, the defendant has to remain in jail. Bonds typically include a recognizance bond – which is a promise to show up on court dates or owe the court money; a surety bond – which is a promise of a bondsman to pay the court money if the defendant does not show up; a property bond – which typically includes putting up real estate to guarantee payment if the defendant does not appear in court; and a cash bond, where money is deposited in a trust account with court to be forfeited if the defendant fails to appear. The court may also impose conditions on a bond, such as no contact with a victim. If the defendant is charged with a misdemeanor only, the prosecutor will also file an information. The information will be basically the same as the complaint, only it is the formal charging document against a defendant. A misdemeanor is a crime punishable by not more than a year in jail. If the defendant is charged with a felony, a crime punishable by more than a year in jail or prison, the prosecuting attorney cannot file an information unless a judge holds a preliminary hearing. A preliminary hearing is a hearing where the prosecutor calls witnesses, such as victim, to try to convince the judge there is probable cause to believe the defendant committed the felony. The court may issue subpoena, or a court order for a person to appear as a witness at a preliminary hearing. The defendant’s attorney can cross-examine the witnesses. If the judge finds probable cause, the felony case is transferred to another court for trial. Often the defendant will file a waiver of preliminary hearing, agreeing that the case can be transferred to the other court. The first court date in the other court is typically for formal arraignment. A formal arraignment is where the judge reads the information word for word to the defendant. Most defendants waive the right to have the judge read the information to them. Under Missouri law in a county the size of Ste. Genevieve County, the defendant may get his or her case transferred to another county for trial. The case is typically transferred to Madison County (Fredericktown), St. Francois County (Farmington), or Washington County (Potosi). This is called a change of venue. Either the defendant or the prosecuting attorney can also get one change of judge. A request for a change of venue or change of judge has to be filed within specific time limits of formal arraignment. Most cases do not ever go to trial. Often the prosecuting attorney and defendant reach a plea agreement as to what should happen on a case. A judge has the authority to reject a plea agreement, but that is unusual. If a case does go to trial, it will either be bench trial (a trial before a judge with no jury) or a jury trial (where all 12 juror have to agree on a verdict). A jury trial may be bifurcated. A bifurcated trial is where the jury assess the punishment against the defendant where the defendant is found guilty of a crime. If the defendant is found guilty, he or she can appeal the case. An appeal is a review by a higher court to determine if the law was followed. If the court of appeals affirms the conviction, the defendant can file a post-conviction relief motion. This is a motion where the defendant usually alleges his or her attorney provided ineffective assistance of counsel. The Ste. Genevieve County Prosecuting Attorney’s Office participates in multi-county agreement for child support cases. The telephone number of the child support prosecuting attorney is 573 431 5341. Most traffic tickets (unless issued in connection with more serious crimes, such as driving while intoxicated or driving while revoked) initially go to the Missouri Fine Collection Center (the FCC). The officer who gives you the ticket should provide you with information about the FCC. The FCC will accept guilty pleas and fines according to the FCC’s fine schedule. If your ticket initially goes to the FCC, you need to either plead guilty and pay the fine, or plead not guilty. This office has no authority with regard to cases in the FCC. If you plead not guilty in the FCC within 30 days of receiving the ticket, your case will be transferred to this office. This office will then have the authority to make a plea recommendation. To plead not guilty in the Fine Collection, follow the instructions in the material provided by the officer who issued you the ticket. If you do not have this material, you may send a not guilty plea to the FCC at PO Box 104540, Jefferson City MO 65110-4540 or fax it at 573 522 8504. The Ste. Genevieve County Prosecuting Attorney’s Office is an active participant in the 24th Judicial Circuit’s drug court and DWI court program. This program provides an opportunity for defendants to avoid prison or a criminal record or a loss of driving privileges by successfully eliminating substance abuse from their lives. Defendants have to reside in Ste. Genevieve, Madison, St. Francois, or Washington counties to participate. If you or someone you know may benefit from this program, please contact this office at 573 883 2791 for more information. Under the United States and Missouri Constitutions, criminal defendants have important rights. These include the right to be represented by counsel and the right to have the State of Missouri provide a defendant with a public defender if the defendant cannot afford to hire his or her own lawyer. The telephone number of the Public Defender for Ste. Genevieve County is 573 218 7080. The Missouri Constitution and Missouri statutes give victims of crime important rights, including the right to information about their cases and to be present and heard at stages in criminal proceedings. This office also has information regarding counseling and other services for victims. Information about cases may be accessible through the Internet at the Missouri Casenet website. If you are the victim of a violent crime, you may be entitled to restitution through the Missouri Crime Victims Compensation Fund, whether or not a person is charged with the offense. Please call this office at 573 883 2791 for more information. An important function of the Ste. Genevieve County Prosecuting Attorney’s Office is collecting restitution for crime victims. Payment of restitution is often a condition of probation for defendants. Restitution is collected by this office, deposited into a trust account, and then distributed to the appropriate victim. Victims should not accept restitution directly from defendants. Defendants may pay restitution through this office by cashier’s check or money order payable to the Ste. Genevieve County Prosecuting Attorney Restitution Fund. They may also pay by credit card through Courtmoney.com at 877 222 4668.